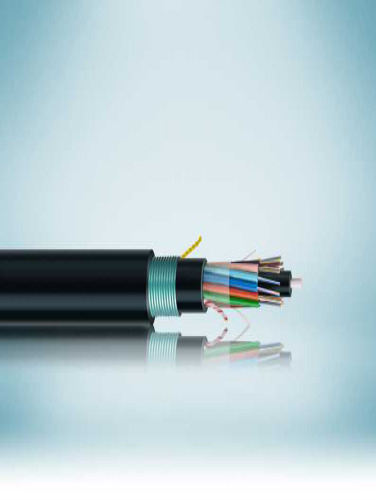 Rhino Multi – Tube Double Sheath Un Armoured Cable (2F - 144F) is designed to be pulled into ducts in service ducts of an optical cable communication network. The cable design is available in Unitube (up to 24 loose fibers), multitube (up to 144 fibers) fiber ribbon cable (48 to 576 fibers). The design is light weight and flexible and able to withstand normal installation forces of strain, crush, bend and twist. Aramid or glass yarn can be added for extra axial pulling strength and glass yarn or polyamide can be used as protection against rodents. Length option of 2.0, 4.0 km.